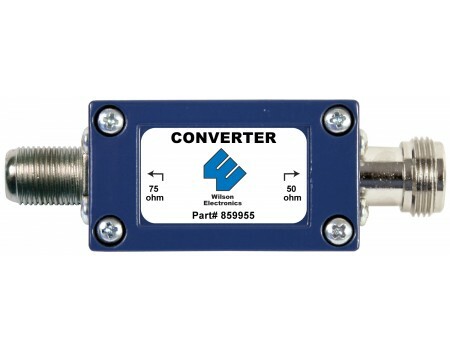 The Wilson 859955 50 Ohm N-Female to 75 Ohm F-Female Converter can be used to convert between 50 ohm to 75 ohm systems. 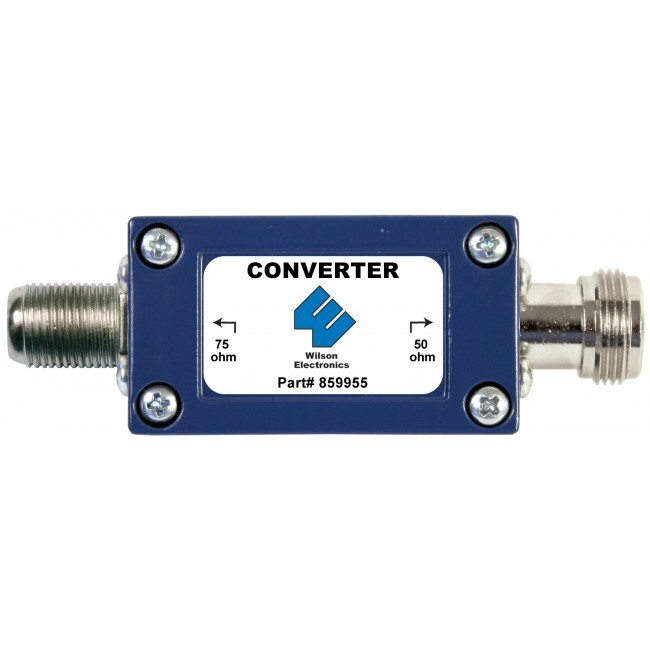 The Wilson 859955 50 Ohm N-Female to 75 Ohm F-Female Converter can be used to convert between 50 ohm to 75 ohm systems. This happens typically when using one set of cables or antennas with an amplifier of a different ohm rating, however, it can be used any time you need to convert from 50 ohms to 75 ohms.